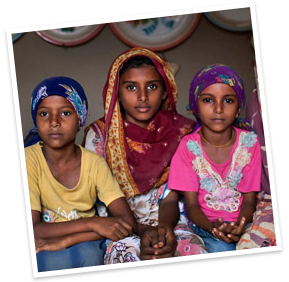 Child marriage jeopardizes girls’ rights and stands in the way of girls living educated, healthy and productive lives. It also excludes girls from fundamental decisions, such as the timing of marriage and choice of spouse. Girls living in rural areas of the developing world are twice as likely to be married before age 18 as their urban counterparts, and girls with no education are over three times more likely to do so than those with secondary or higher education. Enacting and enforcing national laws that raise the age of marriage to 18, for both girls and boys. Using data to identify and target geographic “hotspots” – areas with high proportions and numbers of girls at risk of child marriage. Expanding prevention programmes that empower girls at risk of child marriage and address the root causes underlying the practice. Child marriage is a grave threat to the lives and prospects of young girls. It violates their rights, denies them of their childhood, disrupts their education, jeopardizes their health, and limits their opportunities. 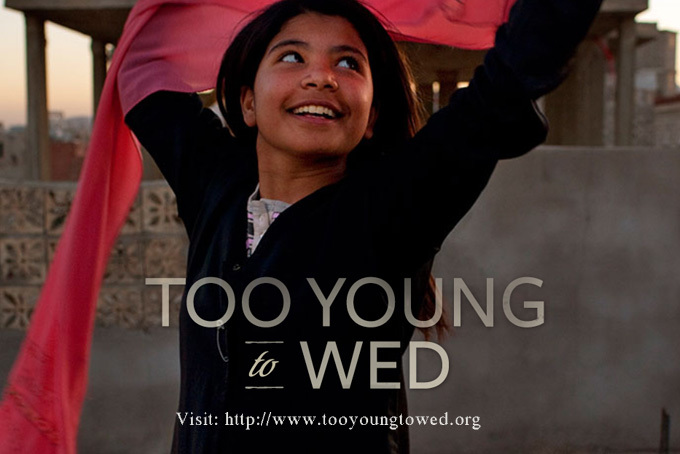 The campaign, Too Young to Wed, which launches on the first International Day of the Girl Child, calls attention to this eggregious human rights violation. Beyond providing new data and co-sponsoring a high-level panel on this issue, UNFPA is working with governments and partners at all levels of society to deliver comprehensive programmes addressing the needs of vulnerable and married girls. Start here by getting the facts, watching the videos, viewing the multimedia exhibit and sharing what you know with friends and colleagues. TOO YOUNG TO WED is an art exhibition featuring photography by Stephanie Sinclair and video by Jessica Dimmock. The show highlights the personal narratives of girls from Afghanistan, Ethiopia, India, Nepal and Yemen.